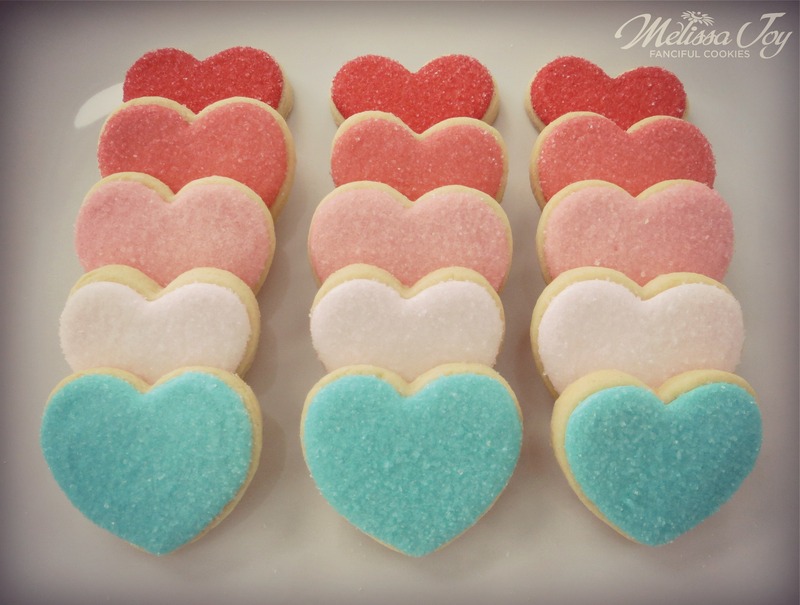 The thing with heart shaped cookies is that the decorating possibilities are endless. It’s almost daunting to me sometimes. An abundance of piping patterns. Any number of colors. 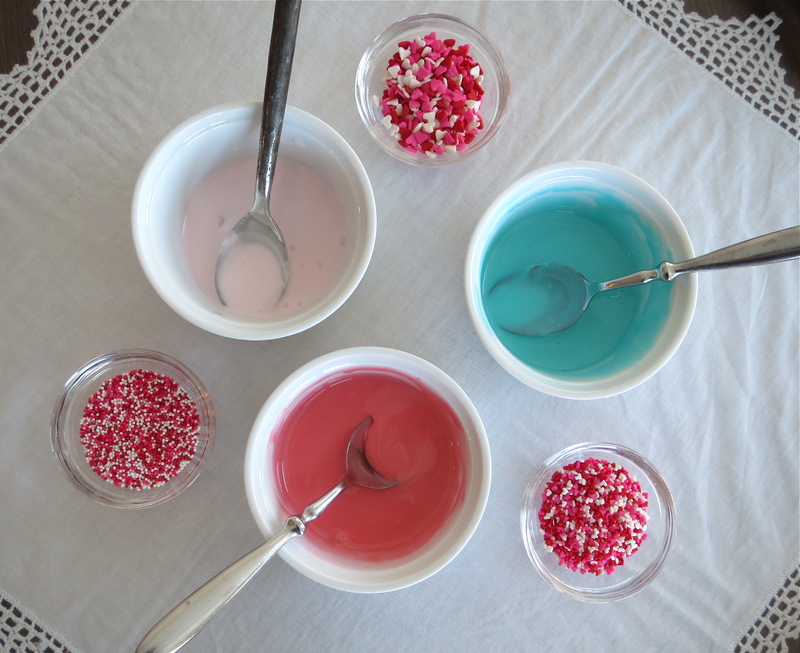 A sea of sprinkles. What to do?! A lot of the time, a single color with sanding sugar is the most satisfying to me. 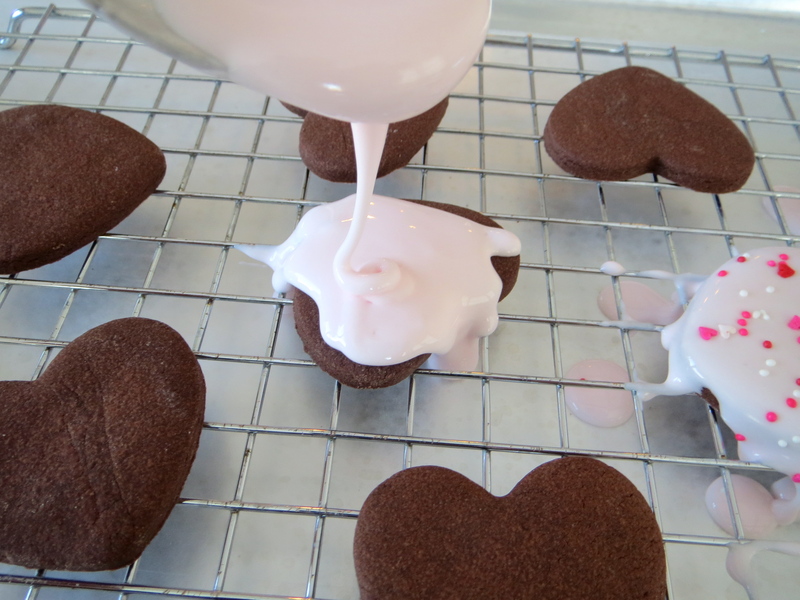 I had a hankering for frosted animal crackers one day and a few naked cookies left, so I easily created this chocolate Valentine cookie version. 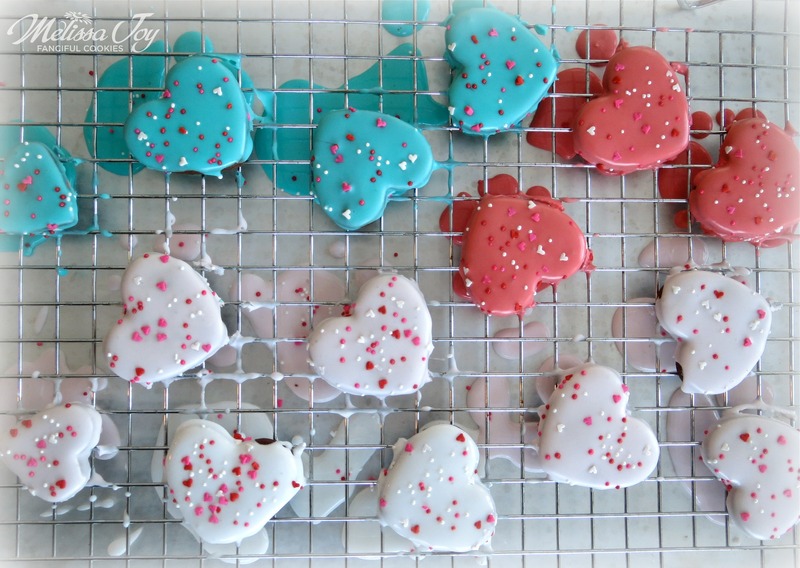 I started with a simple royal icing of a rather loose consistency and a variety of sprinkles. 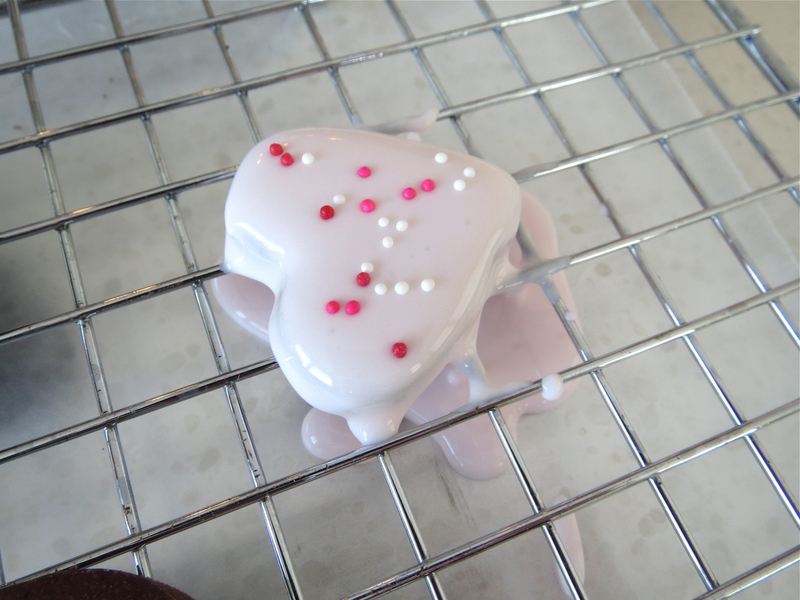 With cookies on a drying rack over a sheet of wax paper, I drizzled the frosting on with a spoon. Once the frosting covered the cookie, I immediately sprinkled it with a few toppings. As the cookies dry on the rack, you might want to push them around a bit so they will be easier to remove later. If not, no worries. The organic look is part of their charm! 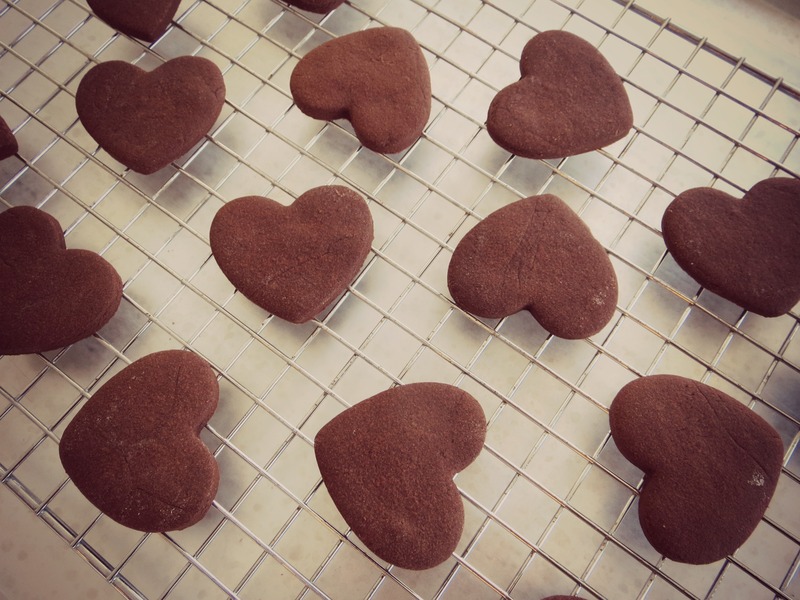 Package them up for your Valentine, and you’re good to go…super easy, super sweet, super delicious! 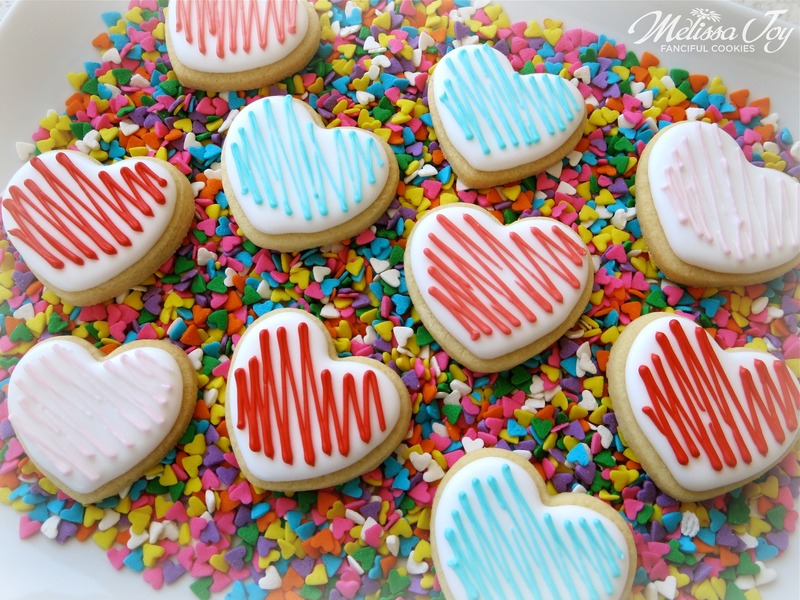 This entry was posted in Cookie Tutorials, Cookies for Kids, For Fun Cookies, Valentine's Day Cookies and tagged animal crackers, heart cookies, homemade valentine treats. Bookmark the permalink. Seriously- these need to be my next fix. So yum. 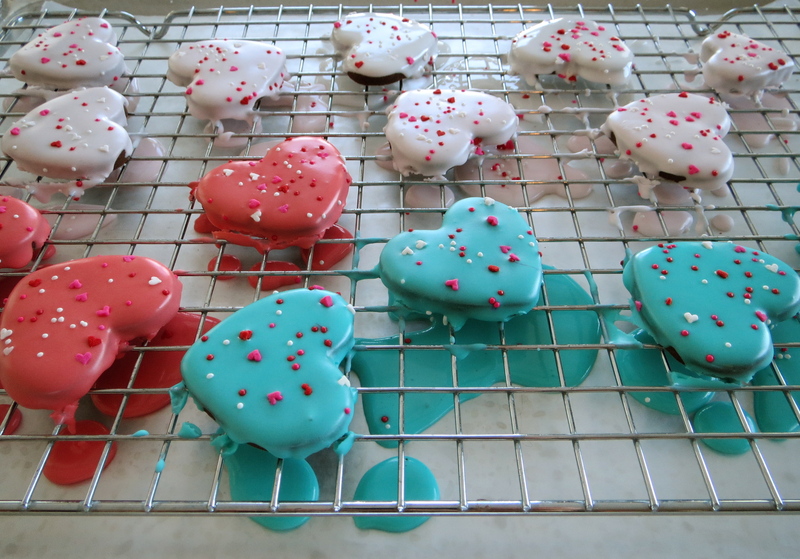 Funny how something about having the icing dripping down the sides and just coating the cookie that makes them look SO good!! Yum looking AND super cute! Thanks, Michelle! It took a lot of will power not to eat a ton during production!